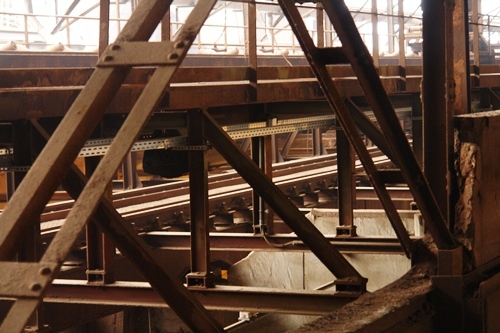 At its peak the Völklinger Hütte ironworks employed 17,000 workers, mostly men, who rotated through three shifts a day to keep the plant operating around the clock. 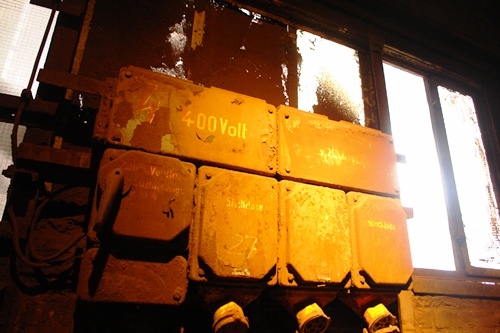 It is said that when the works closed in 1986 after over a century of operation the people of Völklingen found it difficult to sleep, so unused were they to the silence. 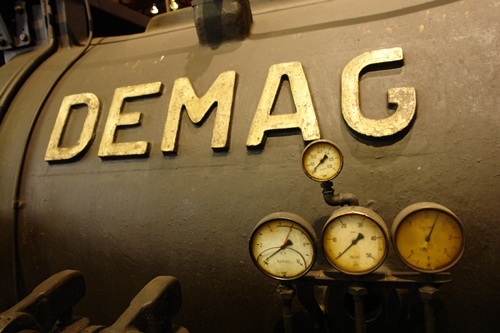 In 1994 UNESCO placed the ironworks on their list as a World Heritage Site, the first such structure from the heyday of the industrial revolution to be granted this status. Now there are exhibition halls and over six kilometres of walkways made safe and signposted for visitors. There is a café and a “paradise garden”, where plants and wildlife make a new home in this most industrial of settings. But the Völklinger Hütte is simply too large to be completely sanitised as a pure museum-piece. Bricks crumble and iron rusts, the old furnace blowers have oil-smeared corners, and you can never escape the knowledge that this was a place of intense heat and backbreaking work, of long hours in almost unimaginable conditions. In the summer they melted and in the winter they froze. There is little mention of this, but until the post-war era and the hard-won bargaining power of the unions, this must have been an intolerable place to work. On the shift-change whistle thousands of men poured out of the works towards the bars and cafes around the train station, to pause with oil-smeared faces and aching limbs for a couple of knock-off beers before heading home to prepare for coming back the next day to do it all again. There is not much life around the Völklingen train station nowadays. It is hardly surprising; this is a town of 40,000 residents where once almost half that number were employed at the ironworks. 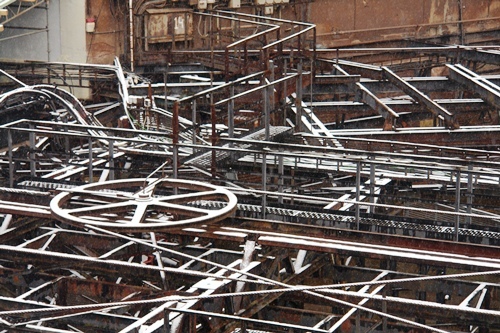 There is still some industry in the town – steel especially – but it is clear that the plant closure must have been a brutal blow for the community and one which a quarter of a century on it is still in the process of recovering from. 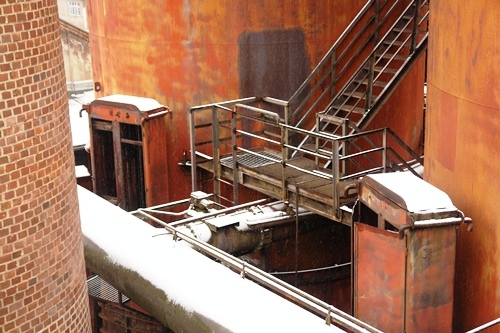 The UNESCO status has no doubt helped, and at the Völklingen Hütte there is not only the exploration of the plant on offer, but also exhibitions, concerts and other cultural events. But still, it can only employ a fraction compared to its previous incarnation, and most visitors come only for the day, spending all their euros on site and barely taking a step into the town itself. 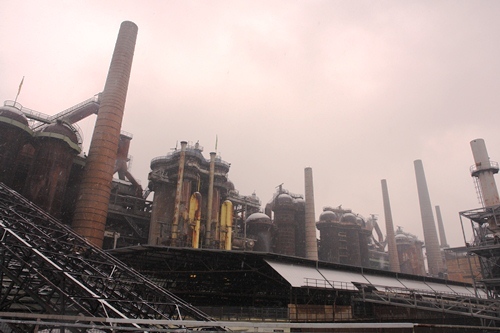 As a monument to the almighty power of the industrial revolution, and it is incredible and almost unbelievable in its dimensions, the Völklinger Hütte deserves its place on the heritage list. But it is difficult to celebrate something that meant such incredible hardship for its workers during most of its history, a place that kept operating during the Second World War through prison labour, and where great fortunes were made that barely trickled down to the men working in such difficult conditions. 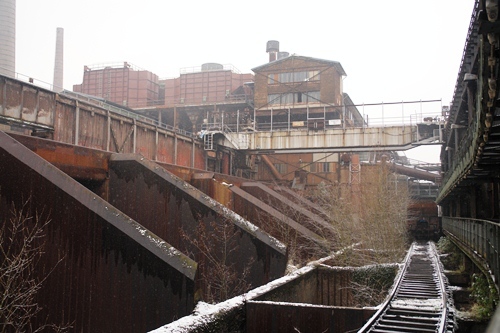 And then there is the contradiction that, despite all that, the closure of the ironworks ripped the heart out of the town and its community, to the extent that the echoes of the Völklinger Hütte are sounding still, in the second decade of the 21st century. 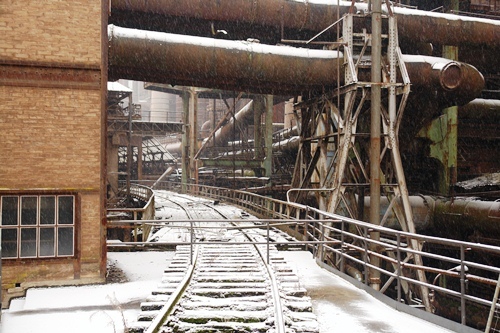 This entry was posted in Gallery, Places, Post-Industrial Landscape on February 3, 2012 by Paul Scraton. Wonderful post. This place reminds me of the Bethlehem Steel plant in Pennsylvania, which was torn down. The closing of that plant had the same effect on Bethlehem as this one had. The town is truly a shadow of its former self. Wonderful photos, and words. I spent an entire day there a few years ago and found it an awe inspiring place. A real gem. It’s also somewhat ironic that the ironworks were relatively unscathed from WW2 bombing.